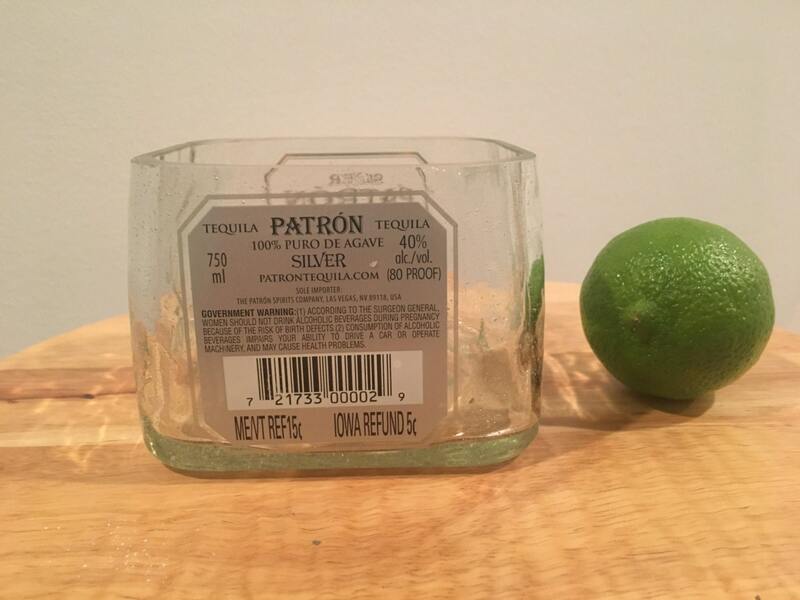 This empty Patron Tequila 750ml bottle has been cut and sanded. 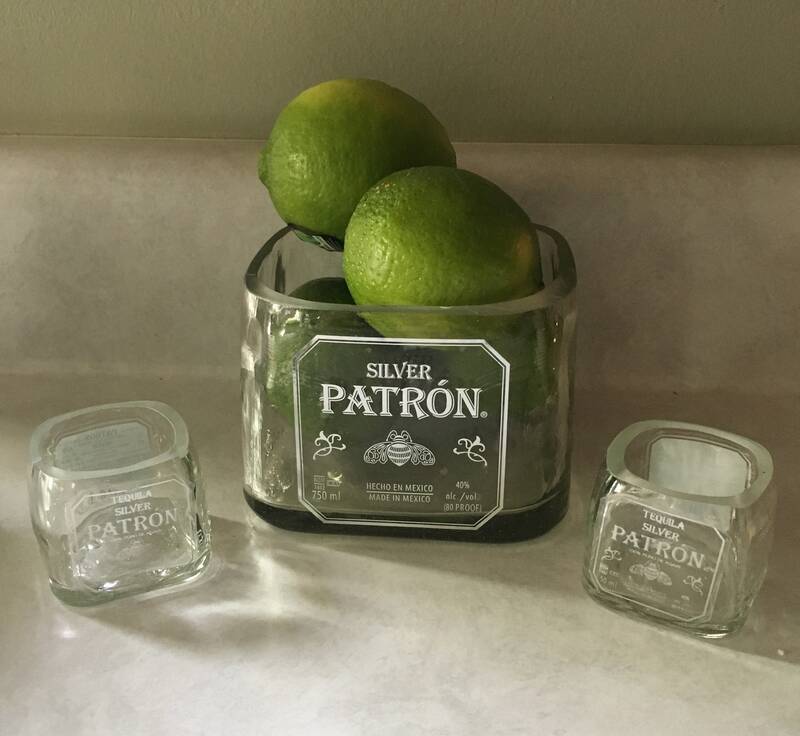 Great for any Patron fan to use to hold limes, spare change, or however you may want to use it. 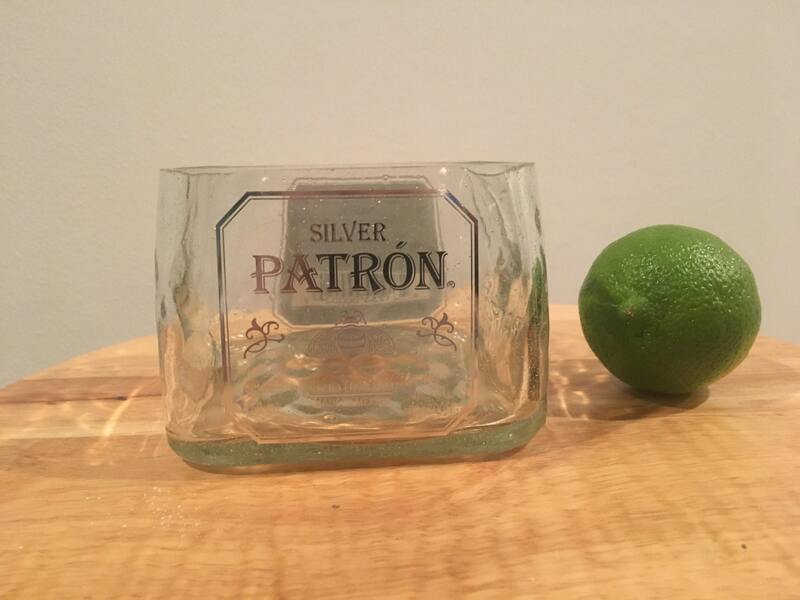 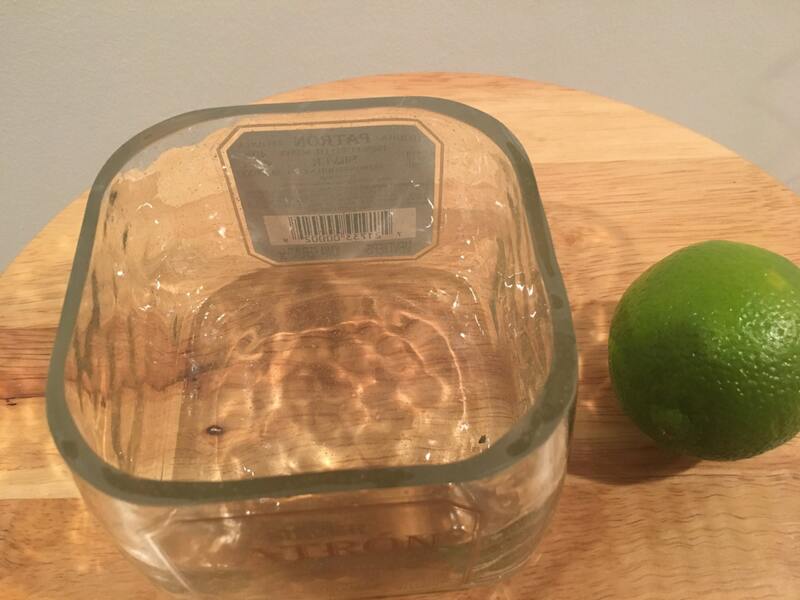 Mini Patron Shot Glasses pictured aren’t included.